Is Deer valley High School haunted? Deer Valley High School is a public high school located in Glendale, Arizona. 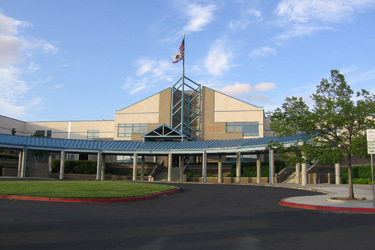 It is part of the Deer Valley Unified School District. The school opened its doors for the first time in 1980 with an enrollment of 750 students. Today, the campus is housed on more than 60 acres, and has a current enrollment of about 2,200 students. There is one main reported haunting at the school and that is of a ghost named Dewy. He can be found mostly in the auditorium. Who he actually is and why he's there remains unknown, but many students and teachers alike have reported encounters with him. Common stories include experiencing cold spots for no reason, the feeling of being watched, and the sounds of voices and crying were the source cannot be identified. He is somewhat famous at the school and on occasion, students have claimed to of seen the ghostly apparition of a man walking along the catwalk before disappearing into nothing. He is also know to quite often mess with electrical equipment, turning lights and projectors on and off at random.